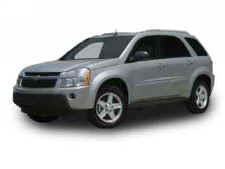 The Chevy Equinox has quickly established itself as one of the standouts of the compact SUV segment. Sleek crossover styling, available all-wheel drive, innovative interior storage and generous rear-seat legroom comfort contributed to Equinox’s rookie-of-the-year status. This popular small utility enters the 2007 model year with the recognition as one of KBB’s “Top 10 Coolest Cars Under $18,000.” The HHR also was voted the “most accessory-friendly” SUV by Specialty Equipment Market Association (SEMA). Indeed, HHR is one of the industry’s most personalized vehicles, with approximately 60 percent of customers equipping their vehicle with one or more of the unique accessories available through Chevrolet Accessories. Redesigned for 2007, the all-new Suburban is capable of hauling more passengers and cargo than any other vehicle in the segment – and features a 360-degree safety system of occupant protection and crash-avoidance technology that demonstrates GM’s commitment to providing world-class safety. Chevrolet introduced the 2007 Chevy Tahoe in early 2006 as the next generation of the industry’s best-selling full-size SUV. It is comprehensively redesigned and delivers a sharper, more precise driving feel, more power with improved, segment-leading fuel economy, increased interior refinement and improved quietness. TrailBlazer SS returns to lead Chevy’s midsize SUV lineup for 2007, delivering sports car performance combined with the functionality expected of a utility vehicle. For ’07, the SS becomes a distinct model and is available in two equipment packages: 1SS and 3SS.